The tax funded University of Illinois has moved to prevent the College Republicans from using American flags in their 9/11 display because the U.S. flag is apparently evil and would “trigger” students who are Muslim into getting mad. The College Republicans, though, weren’t left on their own this time as a lot of students were outraged over the school’s actions. The school quickly backed down. In the end, honoring the dead of the Sept. 11 terrorist attacks beat the lawn-care needs of the University of Illinois at Urbana-Champaign. 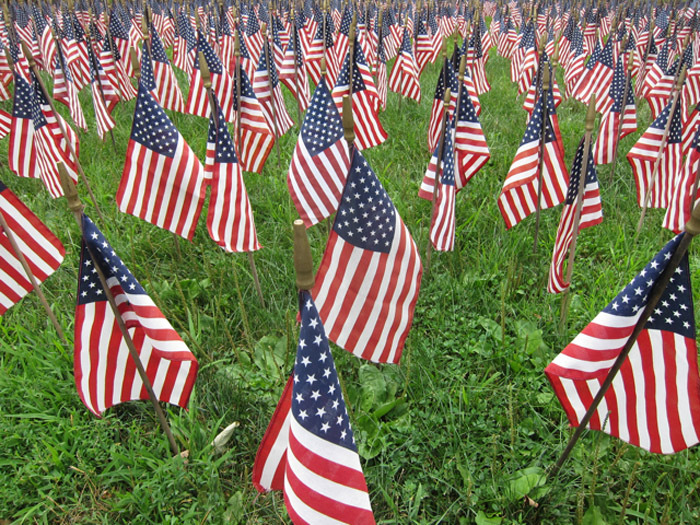 The school backed down from its insistence that the campus chapter of the College Republicans not plant 2,977 small American flags on the quad as a memorial, following a short but intense pressure campaign by students. Before agreement was reached Wednesday night, chapter President Chris Piper told The College Fix in a phone interview that the university claimed that placing flags in the ground would interfere with the “irrigation system” and lawn care. Piper said the group’s application for the memorial was submitted weeks ago, but the administration reiterated Tuesday that the temporary flag planting was a no-go. It is outrageous that the school would even think it should do this in the first place!